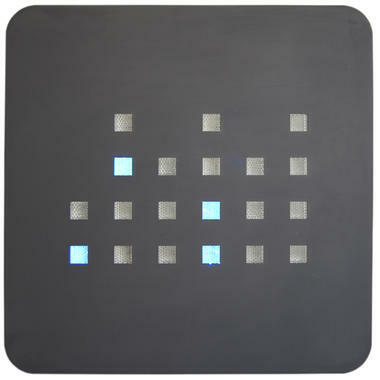 Our popular binary clock is now also available as a big wall clock! 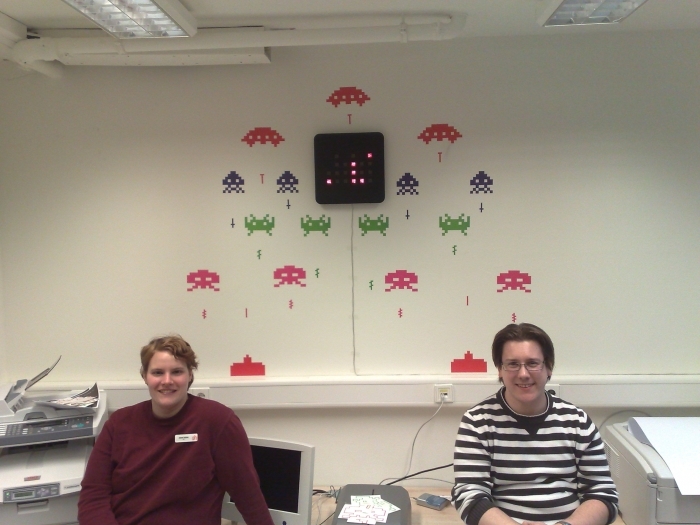 The big version of the Binary Clock for the wall. Displays the time in binary mode with LEDs. 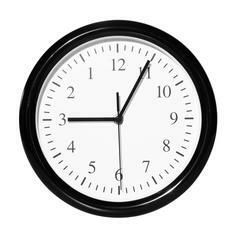 The time is shown in binary code and that makes this clock a very special wall clock. 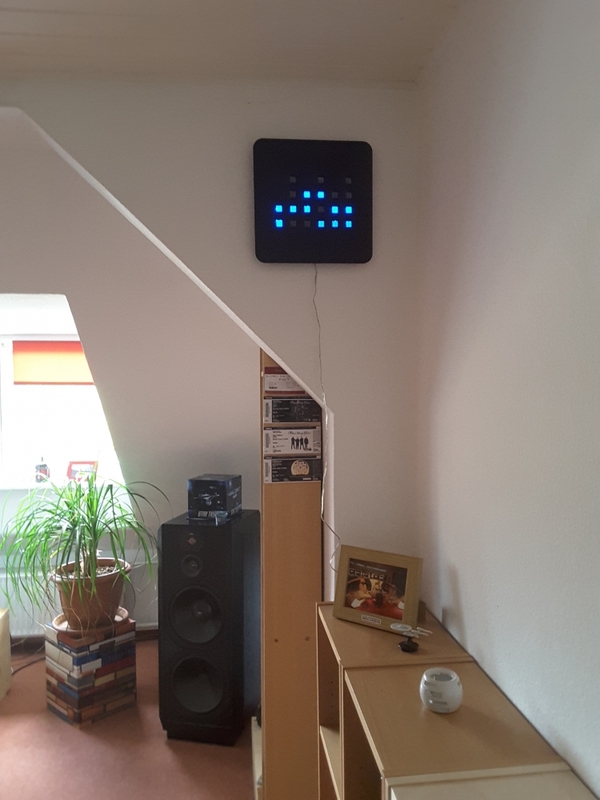 Every LED-Column represents a digit of the current time - displaying it binary: The first LED stands for 1, the second for 4 and the top LED for 8. To get the number of the time, you only have to add the glowing LED-values. 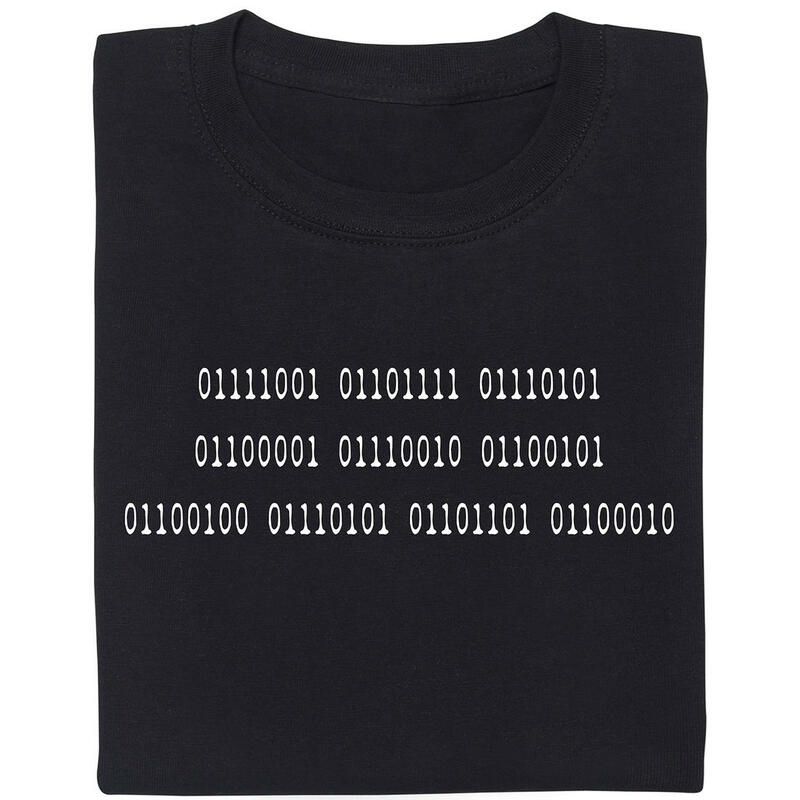 Additionally, you can change to "real-binary-mode". 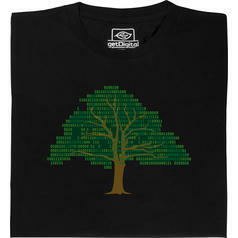 In this mode the three lower rows represent seconds, minutes and hours. (On the picture the time is exactly 14:03:00). 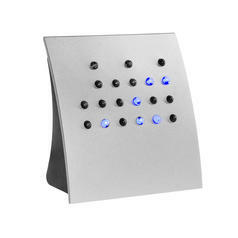 The binary wall clock comes with blue LEDs and has the following dimensions: 31x31cm big and about 3,2cm in depth. You can mount it to a wall or sit it on a table/desk with the included brackets. The clock has a dimmer so the LED-brightness can be adjusted. It has to be plugged in at all times (230V, Euro plug, about 10W power) and you can use 3 AA batteries to keep the time during a power outage. A manual in German, English, French and Spanish is included. 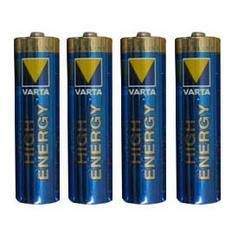 41 SEK lade... Varta Batteries: 4 * AA Now you can order the right batteries for your new product! 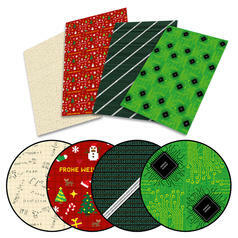 from 62 SEK lade... Geek Wrapping Paper With this paper, you'll be able to wrap your gifts in a geek-friendly way. 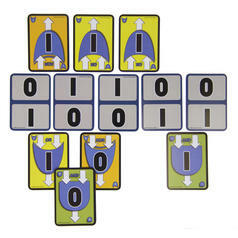 135 SEK lade... bOOleO Card Game This geeky card game is based on the boolean logic. 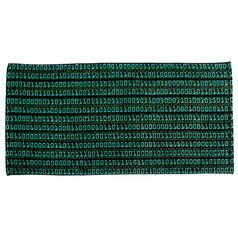 261 SEK lade... Bath Towel Binary High-quality towel with binary imprint. 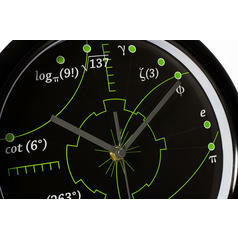 240 SEK lade... Maths Clock 2.0 Each hour is encrypted with a maths problem. 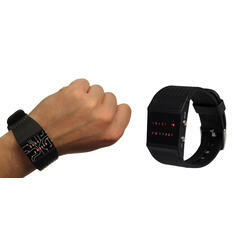 from 229 SEK lade... Binary Wrist Watch This wrist watch displays the time in binary mode. 23 SEK 208 SEK lade... Backwards-Clock This clock is running anti-clockwise. 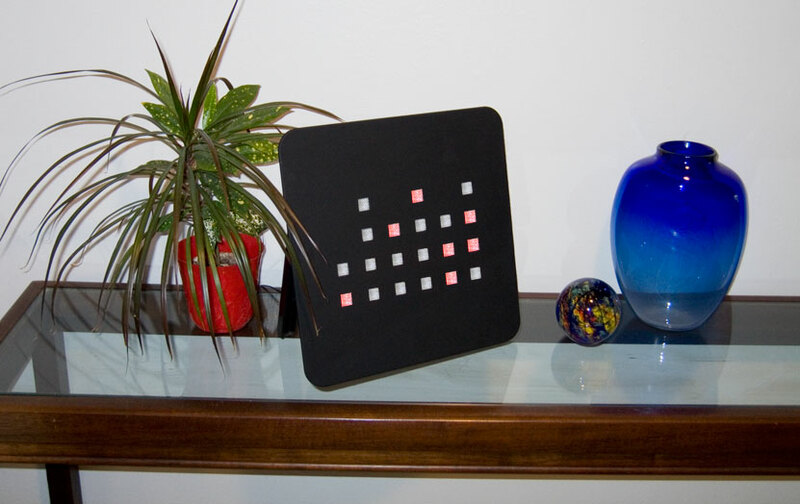 from 522 SEK lade... Binary Clock This clock displays the time with LEDs in binary mode. 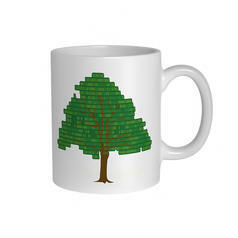 104 SEK lade... Binary Tree Mug Computer scientist, botanist  what's the difference?